Promoting the Second Liberty Loan of 1917, this iconic poster features a grandmotherly type who is entreating citizens to buy bonds to help finance America’s participation in World War I. If this poster was to be published today, the Huffington Post would run an article labeling it sexist, exclusionary and, quite possibly, racist. Thousands of readers would post snippy anonymous comments underneath the article, questioning not only the poster's headline but the need to raise public money for anything other than the social causes they personally champion. Women’s rights organizations would send spokeswomen onto cable TV news shows to remind viewers that women serve in the military in addition to “America’s sons” who are featured in the headline. One of them would get in a shouting match with Ann Coulter on the Fox News Network, generating a clip that would dominate the news cycle for the next 24 hours. Gloria Allred would hold a press conference in which she tried to associate herself with the controversy. Members of the Congressional Caucus for Women’s Issues would demand hearings in which the artist who drew the poster, the copywriter who wrote it, the printer who printed it, the paper merchant who supplied the paper, the president of the mill that produced the paper, the tree farmer who provided the trees whose wood fibers were used to make the paper, as well as the bureaucrat in the Treasury Department who approved the layout in the first place, would be summoned to testify. The reputations of all would be destroyed and they would lose their jobs. The U.S. Senate would introduce a bill demanding that the entire print run be recalled and shredded. Republican members of the House of Representatives would insist that the House’s version of the bill include legislation repealing the Affordable Health Care Act. President Obama would go on the road, holding town meetings at which he defended his signature accomplishment, questioning the sanity of those who oppose it. In the meantime nobody would buy War Bonds, the country would run out of money to finance the war effort, and our foe would overtake us. on the campus of the University of Missouri - Columbia. Life is unpredictable, but some things you can count on. Every morning the sun will rise in the east. Every two or three years Microsoft will introduce a new version of Windows. And year after year, the Missouri Tigers football team will break the hearts of its long-suffering fans. As they did again last night. Mizzou, my alma mater, which has a long and distinguished history of slaying giants then losing the little games everyone expects them to win easily, last year joined the Southeastern Conference, which many consider the toughest in the nation. The Tigers were off to their best start since 1960, winning their first seven games, a feat that propelled them to the top of the SEC East and landed them on the cover of Sports Illustrated. Against their better judgment, fans got their hopes up, thinking that this time things might turn out differently – Mizzou might actually have a shot at the BCS national championship or, at the very least, finishing near the top of the heap. But the Tigers lost last night to South Carolina when a field goal attempt during the second overtime bounced off the goalpost. I contend the reason Mizzou consistently fails to rise to the top has nothing to do with shortcomings on the parts of its team members or coaches. It has everything to do with the name of its mascot, the most inappropriately-named mascot in college sports, a name that’s an affront to what a university should stand for – education. Specifically, educating students to respect and revere greatness. 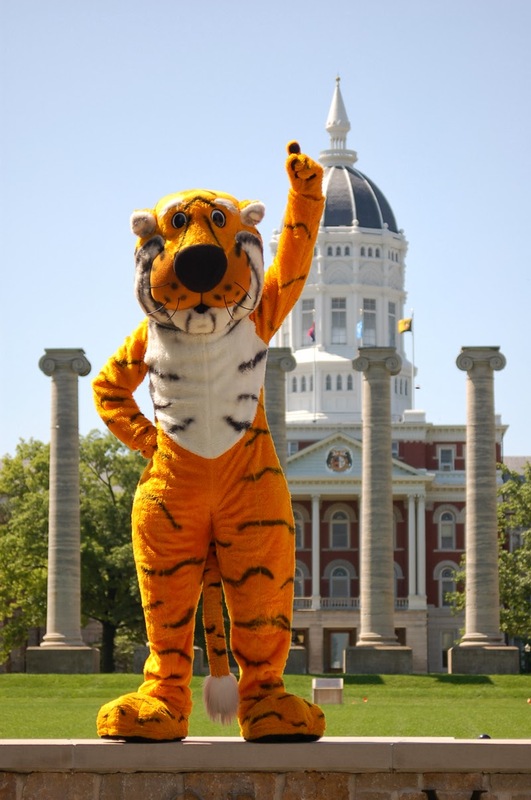 Missouri has had, for decades, a Tiger mascot – a student dressed up in a tiger suit who runs around the stadium, whipping fans into a frenzy. In the early '80s, the mascot started behaving lewdly, taking his tail from between his legs and stroking it, as if masturbating, whenever Mizzou scored. The University, which wanted to project a family-friendly image, in 1984 decided to introduce a new, improved mascot, a happier, more upbeat, PG-rated Tiger, and held a contest in which students were invited to submit names. The name the committee selected? Truman, the last name of Missouri’s most famous native son, who also happens to be – and this isn’t just my opinion, many historians agree – one of greatest presidents this country has ever had. Of all the presidents who followed Washington, few, if any, had to make decisions as tough as Truman did. Among other decisions for which he is remembered, Truman made the gut-wrenching decision to drop the atomic bombs on Hiroshima and Nagasaki that brought WWII to an end. The war in Europe was over at that point, but Japan, even though it was clear there was no way it was going to win, had vowed its soldiers were prepared to fight hand-to-hand combat with our troops in the event America invaded, which it was going to have to do in order to vanquish the lunatic military regime that ruled the country. Truman, who hadn’t even known of the bomb's existence when he had become president a few months earlier following FDR’s death, made that decision on his own. While some effete college professors like to claim Truman was an uneducated Missouri rube who dropped the bomb to extract revenge and make himself look good, millions of soldiers, sailors and airmen who were stationed in the Pacific and knew they were about to be sent to almost certain deaths thanked God for him every night, and those who are still among us still do. And how does the state of Missouri honor its most famous son? By naming a fuzzy mascot after him whose job is to ride into the stadium on a fire struck and run around being cute, urging fans to scream MIZ-ZOU. Imagine the Universities of Virginia, Illinois, Kansas or Massachusetts naming their mascots, respectively, Washington, Lincoln, Eisenhower or Kennedy after native sons who became presidents. For that matter, imagine the University of Georgia naming its bulldog “Carter” after Georgia’s only president, the worst of modern times. Unthinkable? Not to Missouri. Fans think Truman the Tiger is adorable; state leaders and university administrators fail to see they aren’t honoring but making a mockery of one of the greatest men in American history. And somewhere up in the skies high above Memorial Stadium in Columbia, Missouri, someone is pissed and has vowed not to let the Tigers go all the way to the top until the University changes the name of its mascot to something appropriate. And until that happens, some things will remain predictable. The Mississippi and Missouri Rivers will, every so often, overflow their banks. There will be a heat wave next summer. gold medals in every sport at the 2036 Olympics and discovering a cure for cancer. You are probably thinking it’s because we finally sold our Connecticut house and moved to Florida full-time. And that, I have to admit, accounts for a small percentage of it. But the real reason I’m walking around higher than Jack Nicholson is something I’ve been chomping at the bit to write about but couldn’t until my son and daughter-in-law gave me the green light: I’m gonna be a grandpa. My wife and I found out Labor Day weekend when our son, Ben, and daughter-in-law, Heidi, came to visit us in Connecticut. The evening they arrived I told them they should help themselves to some of the 4,000 (give or take 1,000) picture frames that were stacked in boxes on the breakfast room table. “You two will never have to buy another frame,” I said. Ben went into the room, picked up a frame and inserted something into it. 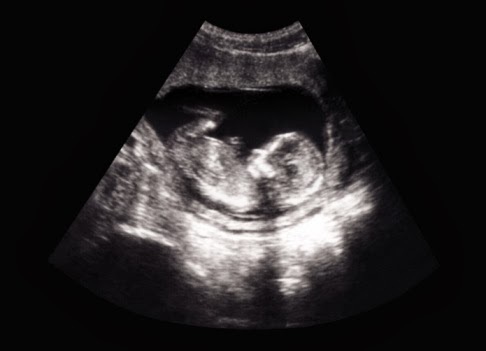 “Here’s a picture for you,” he said, handing us a sonogram. I was speechless. The news was so joyous, so unexpected, that my mouth spread into a grin so wide it was impossible to form words. “Are you OK with being grandparents?” Heidi asked anxiously. I encountered them again in the cereal aisle and said pretty much the same thing. When I got behind them in the checkout line and said it again the woman looked at me like she was ready to call 9-1-1 and report a stalker. “I never said this before but I, uh, think I’d sort of like being a, uh, you know, grandpa,” I told my wife when I got home. We hosted a rehearsal dinner when Ben and Heidi got married this past January. I created a slide show containing dozens of pictures of both of them, from their babyhoods to the present. Heidi’s family sent lots of snapshots to choose from. I fell head over heels with photos of her as a little girl. She was adorable -- dark brown eyes, chestnut hair and, most endearing of all, in every single picture, an enormous smile that radiated happiness. I decided then and there that if I ever have a granddaughter who looks like that I’ll be the luckiest grandpa on earth. On the other hand, a red-headed blue-eyed boy who looks like his daddy would be nice. We’ve had a lot of fun at our “ginger’s” expense over the years but we marvel over Ben’s hair which brings a smile to our faces every single time we see him. So whether the baby turns out to be a brown eyed girl with red hair… a blue-eyed boy with chestnut hair … or a purple-eyed baby with green hair … the one thing for certain is this: I’m going to be the most insufferably obnoxious grandpa ever. 13 percent rate ABBA’s Fernando as the "best song ever"
Coincidence? No way. I didn’t enter my name or address on the web site. And it’s not like I’m on Bentley’s list of prior customers. I have never received any mail from Bentley before. I have never set foot in a Bentley showroom. All I can conclude is that Bentley noted my URL was visiting its web site … matched that URL to my service provider (Cablevision) … which then provided Bentley with my name and address. When Bentley saw I lived in Wilton, Conn., the company sent me the mailing under the mistaken impression I might be in the market for one of its swanky cars. If I had been logged on from, say, Appalachia, I doubt I would have received that mailing. I may be wrong about this. If so, I apologize to Bentley. But I don’t think I am. I ran a direct marketing agency; I am aware of what’s possible and what isn’t. The odds of receiving that piece out of the blue so shortly after I visited the website are extremely slim. Whatever the case, it pissed me off that Bentley invaded my privacy. The next day, as I was visiting eBay.com, up popped an ad for Betty Crocker Au Gratin potatoes, offering me a coupon good for 50 cents off two more packages. Publix, where I purchased the potatoes, isn’t one of those supermarket chains that requires shoppers to present an ID card in order to take advantage of savings. That leads me to the conclusion that the bank is the culprit here because the coupon wasn’t good only at Publix – it was good at any retailer that sells Betty Crocker potatoes. If Publix had been a participant, it would have insisted the coupon be good only at its stores. But Publix, who doesn’t know me from Adam, somehow let the bank that issued my card know what I bought. Because I pay my monthly bill online, the bank already knows my URL and transmitted my purchase data to General Mills, which owns the Betty Crocker brand. Betty in her infinite wisdom decided I needed to stock up with more potatoes. If I had ever visited Betty Crocker.com … or had been searching the web for au gratin potato recipes … I wouldn’t have minded seeing that pop-up ad. We all have received ads related to products and services we have researched or read about online … and that’s OK. Someone has to pay for the Internet. Might at well be advertisers. And maybe – just maybe – it was a coincidence, but I’m not convinced it was. What I resent in Betty’s case is that that my personal financial records were compromised so General Mills could sell more dehydrated potatoes with packets of hydrogenated cheese flakes. I’m a 61-year-old man. I have come to expect pop-up ads for erectile dysfunction pills, Buicks and other stuff guys my age buy. But Betty Crocker Au Gratin Potatoes? I don’t want to hear from them if they’ve obtained my contact information through what should be a private record of a financial transaction. Data obtained through digital technology can be used in beneficial ways. I absolutely want Google, Yahoo, et al to tell the government the names and addresses of people who are researching how to build homemade bombs or fly 767s into buildings. If someone buys plastic explosives or a first-class one-way ticket from Saudi Arabia to New York using a credit card, I think it’s great if the bank that issued the card informs someone in authority about it. I just wish marketers would use some common sense and discretion and not make the rest of us feel like we’re being watched every minute. So, if anyone from Bentley is reading this, be advised that I was planning on buying a new Bentley convertible until I got your mailing. But it spooked me out. I’m going to buy a Rolls instead. As for you, Betty Crocker, you should change your brand’s advertising jingle from, “You Sweet Talker, Betty Crocker” to “You’re a Stalker, Betty Crocker.” Because you are. Note: If anyone from Bentley Motor Cars, Publix, Citibank or General Mills reads this blog and has an explanation other than what I’ve surmised, I’ll be happy to post your response. 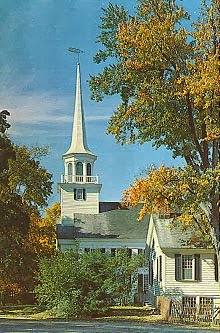 I lived in Connecticut, the "Nutmeg State," half my life, almost to the day. Friday, September 27th, was my final day as a Nutmegetarian. On that date my wife and I sold our Wilton house in which we raised two sons, seven dogs, two turtles and a fish tank shark that was supposed to live for one year and somehow survived for eight. From now on we'll be full-time Florida residents. In addition to good friends (some of whom are already making plans to join us here in the Sunshine State), here are the top ten things I will miss about Connecticut. 1. Autumn: Fall in New England is a kaleidoscope of colors - reds, yellows, browns and oranges. 2. The graves of two loved ones: Sybil, a dachshund/corgi mix who moved with us from St. Louis to Chicago to New York to Connecticut, was laid to rest at Balmoral Pet Cemetery in Kent. Bella, a beagle adopted from the Westport pound, is buried on the hill overlooking the backyard of our former home. Five other dogs who went to that Big Boneyard in the Sky during our time in Connecticut were cremated. We brought their ashes with us in a box labeled "Misc. Tupperware & Dog Cremains" and they're in storage where they, along with 164 other boxes of things we don't need but moved anyway, will likely spend eternity. 3. The Wilton Public Library: It always seemed to have the latest non-fiction releases. The library here in Bonita Springs doesn't. 4. Staples cashier: There's a cashier -- I'd guess her to be 80 or even older -- at the Staples store in Norwalk who was friendly and always said "thank you." 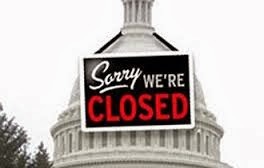 This just in: Government shutdown is over! 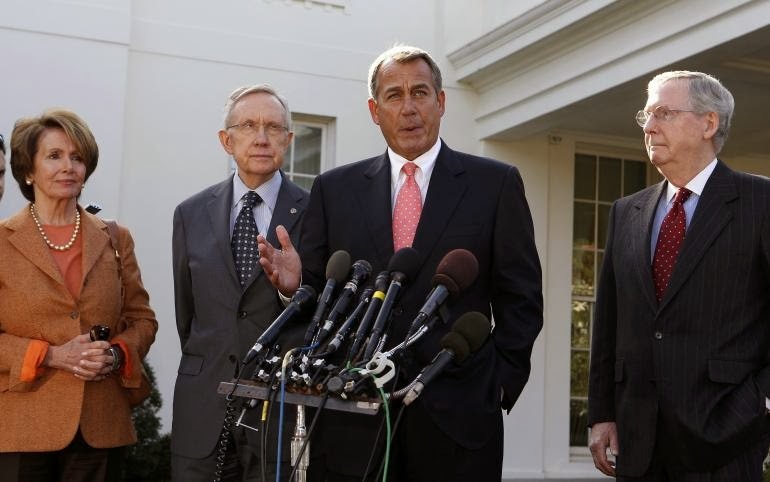 Washington, D.C., November 30, 2013: A compromise has been reached between Democrat and Republican members of Congress in the contentious debate over the debt ceiling that, since October 1, has resulted in a shutdown of the Federal government. Washington Monument: Has been sold to Pfizer, maker of Viagra. “We were looking for the perfect product symbol,” said a Pfizer spokesman.“And this is it.” Pfizer is investigating the feasibility of adding a fireworks display in which a Roman candle will be shot from the top of the monument at 11 p.m. every night. Hawaii: Has been purchased by The Walt Disney Company, which will be converting the five main islands into a giant Polynesian-themed amusement park that will be connected by flights operated by Delta Air Lines (see below). U.S. Air Force: Has been sold to Delta Air Lines, which will use former USAF jets to shuttle visitors between the five islands comprising Disney’s new Hawaiian theme park. All flights will require a change of planes in Atlanta. Weir Farm National Historic Site, Wilton, Connecticut: Commemorating the life and work of impressionist painter J. Alden Weir, America’s smallest national park, which has had only seven visitors since 1998, has been sold to Toll Brothers which plans to build five-bedroom, seven-bath faux colonial houses that are popular among young Wilton families on the land it occupies. The Town of Wilton has announced plans to fight the sale, claiming additional houses will result in traffic on local roads that may endanger the lives of those who live nearby and that environmental impact studies are needed since a rare breed of insect “may have been” spotted in 1961 and nearby wetlands “might be” impacted. U.S. Postal Service: Has been sold to a consortium led by FedEx and UPS. The group has announced plans to eliminate delivery of everything but packages. “Anyone who doesn’t have e-mail has one month to set up a free account and learn how to use it,” the companies said. WWII Memorial: Has been sold to the governments of Japan and Germany, which plan to demolish the memorial and build the world’s largest automotive showroom showcasing Lexus and BMW products. To symbolize how the debt ceiling agreement represents a compromise on the parts of both their political parties in which, “for the first time, we put the interests of America over party principles,” Boehner and Reid announced that both parties have agreed to sell their names and mascots and contribute the proceeds to the U.S. Treasury. Democrat Party name and donkey symbol: Has been sold to North Korea. “Both groups believe government should control all aspect of peoples’ lives and refer to our respective heads of state as dear leader,” said Reid. My wife became extremely annoyed – as annoyed as she has been at any time during our marriage – as we were packing up to move from Connecticut to Florida, accusing me of starting one task then going on to another before I finished the first. She is telling friends she has decided I have Attention Deficit Disorder. My niece, a psychologist, has been claiming for years that everyone in our extended family has it. I couldn’t disagree with them more. The deficit is the reason Congress is at such an impasse regarding the budget. Neither side will budge which rhymes with another word that reminds me of a question I’ve been pondering ever since a recent trip to Cape Cod: How come every vacation destination you visit has store after store selling fudge? Do people go on vacation and think to themselves,“I’m on vacation. I am going to eat a pound of fudge every day?” I certainly don’t. In fact, when I’m on holiday I’m consciously aware that I’m probably overeating so I go out of my way to cut out unnecessary calories and fat of which olives have an abundance. Last Tuesday, our final night in Connecticut, some friends hosted a good-bye dinner party. They invited two other couples and served a dish called Chicken Marbella made with (this is perfect since we were moving to Florida where everyone is old and obsessed with regularity) prunes and Spanish olives. I was a bit leery, frankly, but it was the absolute best chicken dish I’ve ever put in my mouth which reminds me I’m overdue for a dental appointment. Our Connecticut house had (and I assume still has since the new owners probably wanted to keep them because they are beautiful) dentil moldings in both the living and family rooms. That’s something you see in colonial houses but not in the Mediterranean-style houses here in Florida, where I need to get a driver’s license as soon as I finish unpacking the 165 boxes we moved of which exactly five contained my stuff – three of clothing and one each of tools and games (mostly Scrabble, I have four versions) – and the rest were my wife’s. She has more clothes than Macy’s whose stock (ticker symbol M) has outperformed the overall market by a significant margin in the last two years speaking of which, one of the posters I’m selling on eBay (see picture above) – I have over 300 of them and have decided that in my dotage I want to get in the business of buying and selling vintage posters since I know a lot about them – is missing both the left- and right-hand margins. A previous owner apparently trimmed them off in order to squeeze the poster into an existing frame. Take a look at the poster and you can see it has white margins at the top and bottom but not on the sides. It’s a shame – I could get a lot more for it if it hadn’t been doctored with. I just ended a sentence with a preposition which is a “no-no” plus I need to call the dentist so I'd best wind this up for now.